I like The Division. The missions are fun, the gunplay and tactical play is solid and the story is interesting. I'm still trying to wrap my head around the Dark Zone though. 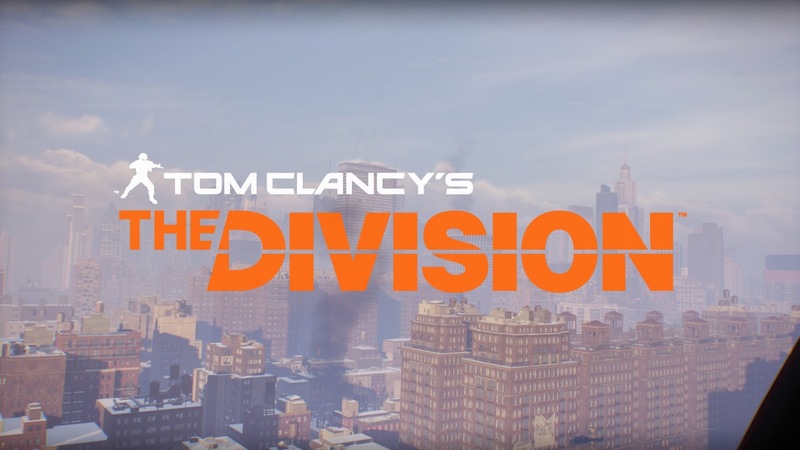 I understand what it is, story-wise, but I'm not sure what it really represents for The Division. Most people call it a PVP area, but most PVP areas assume everyone is an enemy. The amount of PVE content in the Dark Zone seems to preclude it from being strictly a PVP area, despite the actions of some agents (whose names I have in a list and will never forget I'm coming for you). The gray area that the Dark Zone occupies is old hat for folks familiar with DayZ or Rust, but it's a first for a triple A title. Does it work for Ubisoft's new flagship title or is it too incongruous from the rest of the game? When I mention DayZ, please understand that I mean it in the best possible terms. I've been playing DayZ (albeit sporadically) since the milk of human kindness simulator launched its early access campaign in 2013. I've watched some parts of that community fizzle and complain, but many others, including myself, are still stalwart supporters of the game. So when I compare the Dark Zone to DayZ, I am comparing the style of play and the atmosphere of that area of The Division to it. The Dark Zone is almost like a parallel dimension's version of The Division. In fact, it is far closer to what I imagined the majority of the game would be like after watching the early trailers. There are portions of the experience that are exactly the same as the rest of the game, while others stand wholly apart. In the majority of the game, the streets feel abandoned. I get the sense that I've arrived late to a war that is nearly over in a city left to slowly collapse. The Dark Zone by comparison is a dense, busy and dangerous place. The AI enemies in the Dark Zone are a deadly bunch. They wander the streets in greater numbers and coordinate with each other better than their friends on the other side of the wall. The bosses that sometimes travel with them are incredibly tough and carry incredibly deadly weapons. Working with friends and coordinating fire is a must for dealing with any group. I've attempted a few solo assaults only to be stopped in my tracks or pursued across multiple city blocks when I tried to flee. The vanilla game world seems pretty tame compared to the Dark Zone. I bet that pizza place is still open. As relentless as those enemies are, few things in the Dark Zone are more nerve wracking than another player. They don't show up on your radar until they are right on top of you and it is really difficult to tell friend from foe. Early reports said that almost nobody went rogue, but that has not been my experience at all. There are rogue agents everywhere, and anyone outside of your group could potentially become your enemy. Calling for an extraction often puts a huge target on your back. 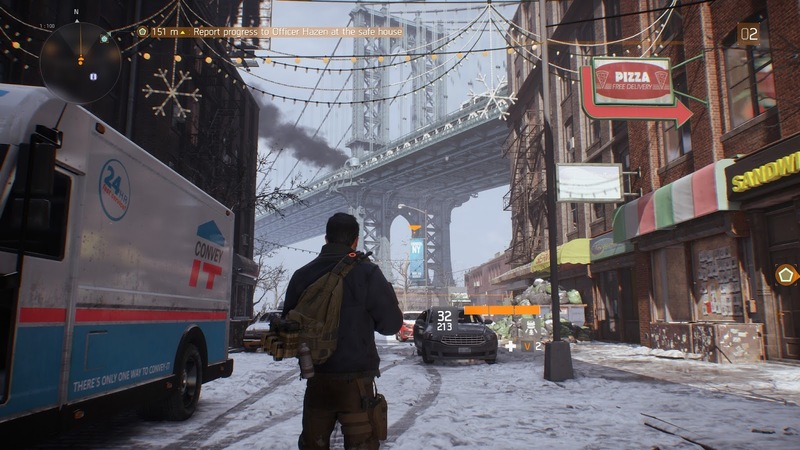 This is where The Division behaves a lot like DayZ. Those tense moments approaching an extraction point, everyone sizing each other up, reloading weapons, healing, finding cover. I think this video sums it up best. I've seen some agents hide out until everyone has their gear on the line for extraction, which I find particularly distasteful considering it gives the murdered agents no chance to respawn and track the rogue down. There are definitely rewards to be had by going rogue, but there are consequences for those who get caught. Rogues lose the gear they haven't extracted, half their accumulated xp and funds when they are killed which is no small price to pay, but it doesn't seem to deter too many people. 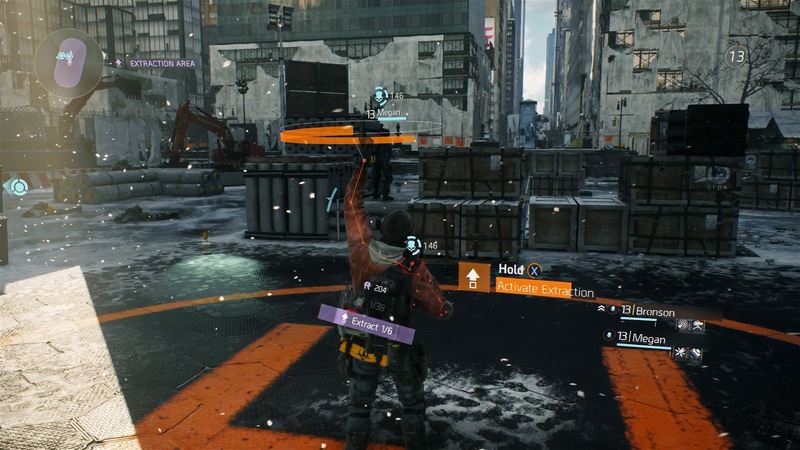 The most infuriating moments in the Dark Zone are those when you are betrayed by someone you decided to trust. I was killed yesterday by an agent who I had just revived. Apparently he says thank you by unloading half a magazine into people's guts.